Tuttle is a range of classic English-style confectionery products, such as traditional fudge, after dinner mints, chocolate mints, etc. Only the finest ingredients, such as high quality dark chocolate, are used in Tuttle’s Fine Classic English-Style Products. 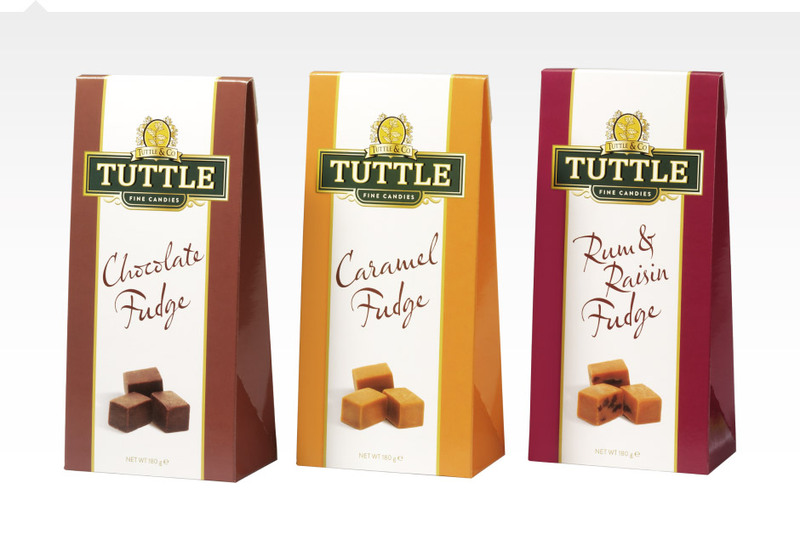 Tuttle Fudge is a range of traditional English-style fudge in attractive standing cardboard bags. Available in two types: Cream Fudge and Chocolate Fudge. 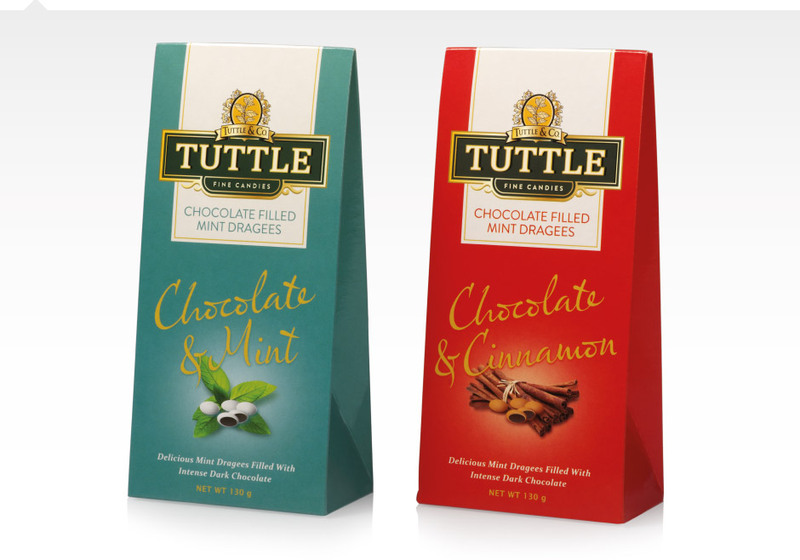 Tuttle Chocolate Filled Mints are coated dragees with an intense Peppermint or Cinnamon flavour. Inside, they are filled with delicious dark chocolate. A delightful combination of Intense Peppermint or Cinnamon and Dark Chocolate packed in a very attractive standing bag.